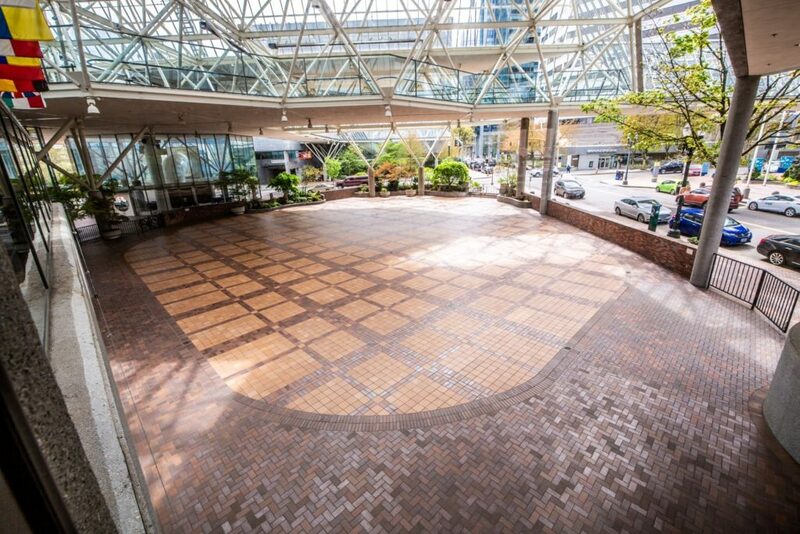 The Outdoor Plaza is located on the Plaza Level of Building Two of The World Trade Center Portland. From the Plaza Level of Building Two, walk across the Outdoor Plaza towards the corner of SW Taylor and SW 1st Street. 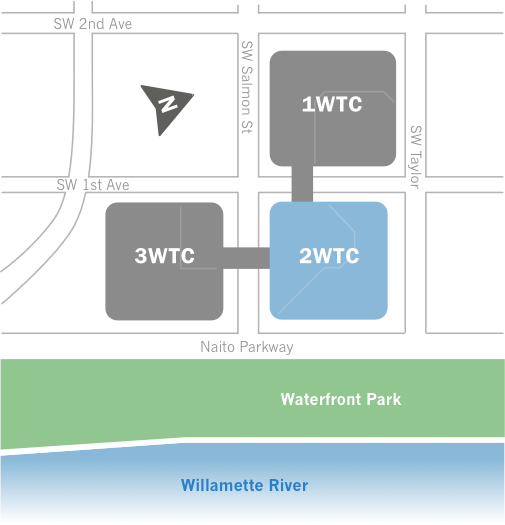 From Building One of The World Trade Center Portland, walk East towards the Willamette River across the street to Building Two. From Building Three of The World Trade Center Portland, walk North towards SW Taylor Street. 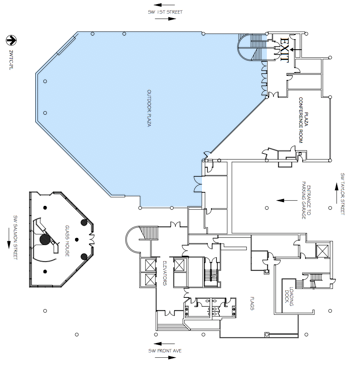 From the elevator lobby of the Plaza Level, select your event on the digital reader board and our interactive map will direct you the rest of the way to your event. The covered open air Outdoor Plaza is located on the Plaza Level of the Conference Center, and sets a welcoming stage for events that require a bit more elbow room. 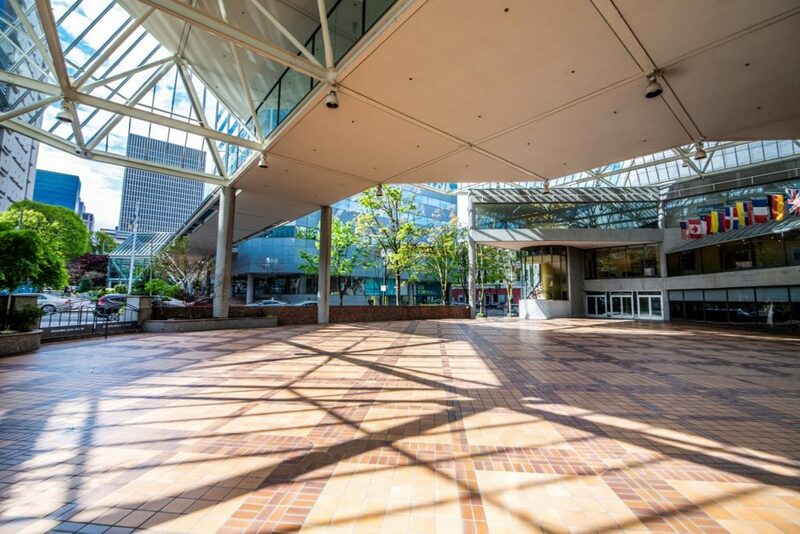 With more than 11,000 square feet, the space lends itself to imaginative open-air festivals, pop-up markets, fundraisers, walks/runs, receptions, proms, exhibits, and industry specific trade shows.